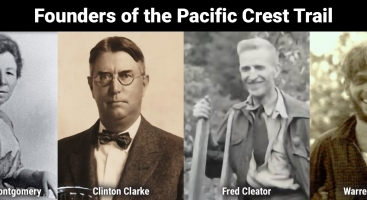 Throughout 2018, we’re celebrating the 50th anniversary of the Pacific Crest Trail’s designation as a National Scenic Trail. 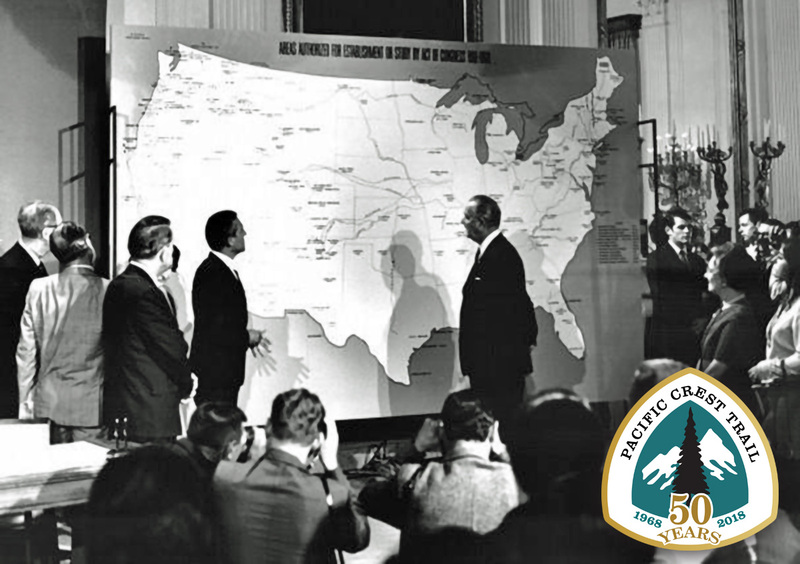 The PCT and the Appalachian Trail were our nation’s first National Scenic Trails, designated by an extraordinary, bipartisan act of Congress and signed into law as the NTSA (National Trails System Act) by President Lyndon Johnson on October 2, 1968. Starting with these two trails, our system of national trails has expanded to 11 National Scenic Trails, 19 National Historic Trails, and over a thousand National Recreational Trails. It is a system admired and envied worldwide, and a pinnacle of American achievement in the 1960’s—a decade that also gave us the Wilderness Act. To learn more about the National Trails System Act and our National Scenic, Historic, and Recreational Trails, visit the Trails50.org website. Our roots stretch as deep as the trail is long. We were born with the trail. Take a trip through our history. Join us on one of the best trail experiences on Earth. 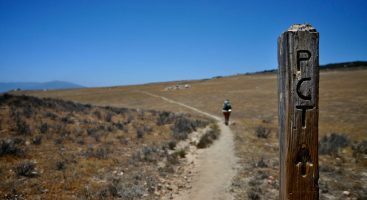 Protecting the trail alone isn't enough—we protect the trail experience, or the larger, scenic corridor through which the trail passes. 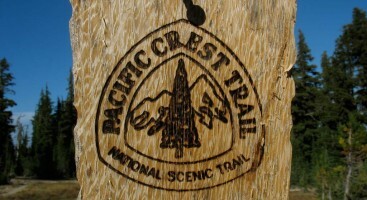 PCTA's official Pacific Crest Trail book. 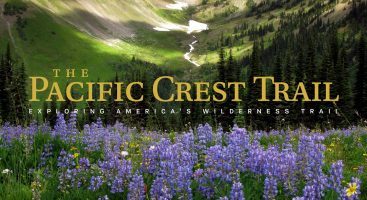 The Pacific Crest Trail: Exploring America’s Wilderness Trail offers an in-depth history of the trail and more than 250 photographs that bring the trail experience to life in large, living color.